Türkiye’de bir yıl tutuklu kaldıktan sonra Şubat ayında tahliye edilen gazeteci Deniz Yücel M100 Medya Ödülüne layık görüldü. Yücel ödülünü 18 Eylül’de Almanya’nın Postdam kentinde düzenlenecek törenle alacak. The German federal election is only four days away and is becoming the major topic for the most media outlets. Based on the current predictions, it looks like Angela Merkel’s Christian Democratic Union party with its ally, the Christian Social Union, will win most of the votes after 24th September. However, they will still seek for a coalition in order to form a majority. The CEO of the Russian TV channel «Dozhd» Natalia Sindeeva has got a German M100 Media Award. The award ceremony took place on Thursday, 14th of September, as a part of the international media conference M100 Sanssouci Colloquium in Potsdam. The M100 Media Award is given for the contribution to media protection and press freedom, as well as for strengthening of democratic values. Previously, the laureates of the M100 Award were the magazine Charlie Hebdo, the founder of the organization “Doctors Without Borders” Bernard Kouchner, the ex-minister of the German foreign affairs Hans-Dietrich Genscher, and the Ukrainian politician Vitali Klitschko. The CEO of the Russian TV channel «Dozhd» Natalia Sindeeva has got a German M100 Media Award. The award ceremony took place on Thursday in Potsdam. It is reported by “Deutsche Welle”. The M100 Media Award is given for the contribution to media protection and press freedom, as well as for strengthening of democratic values. Previously, the laureates of the M100 Award were the magazine Charlie Hebdo, the founder of the organization “Doctors Without Borders” Bernard Kouchner, the ex-minister of the German foreign affairs Hans-Dietrich Genscher, and the Ukrainian politician Vitali Klitschko. The CEO of the TV channel „Dozhd“ Natalia Sindeeva has got a German M100 Media Award. It is announced on the award’s Twitter account. The award ceremony took place in a German city of Potsdam as a part of an international media conference M100 Sanssouci Colloquium. It was attended by the representative of the German Federal Foreign Ministry Walter Lindner, the mayor of Potsdam Jann Jackobs, and the editor-in-chief of the newspaper Bild Tanit Koch. The media conference was also attended by more than 80 editors-in-chief of mass media from different countries. The CEO of the TV channel „Dozhd“ Natalia Sindeeva has got a German M100 Media Award. It is reported on the award’s Twitter account. 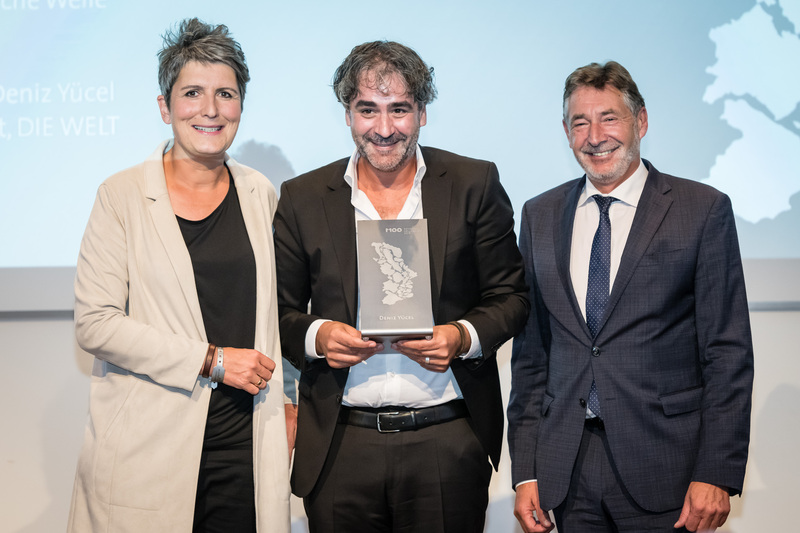 The award ceremony took place in a German city of Potsdam as a part of an international media conference M100 Sanssouci Colloquium, specifying „DW“. It was attended by the representative of the German Federal Foreign Ministry Walter Lindner, the mayor of Potsdam Jann Jackobs, the editor-in-chief of the newspaper Bild Tanit Koch, and more than 80 editors-in-chief of mass media from different countries. The M100 Media Award 2017 for the contribution to development of free speech, the struggle for the human rights and protection of democracy was given to the CEO of the Russian TV channel “Rain” Natalia Sindeeva. The awards ceremony will take place on 14 September in Potsdam as a part of an international conference M100 Sanssouci Colloquium with participation of editors-in-chief, journalists and owners of the leading European media. The head of the German Foreign Ministry Sigmar Gabriel and the editor-in-chief of the newspaper Bild Tanit Koch will speak at the ceremony. The award ceremony will take place on 14th September as a part of an international media conference M100 Sanssouci Colloquium in Potsdam. The speakers at the conference will be the head of the German Foreign Ministry Sigmar Gabriel, the editor-in-chief of the German newspaper Bild Tanit Koch and the ex-editor-in-chief of the Turkish media Cumhuriyet Can Dündar. Dundar was in Spain on what was intended to be a brief visit. 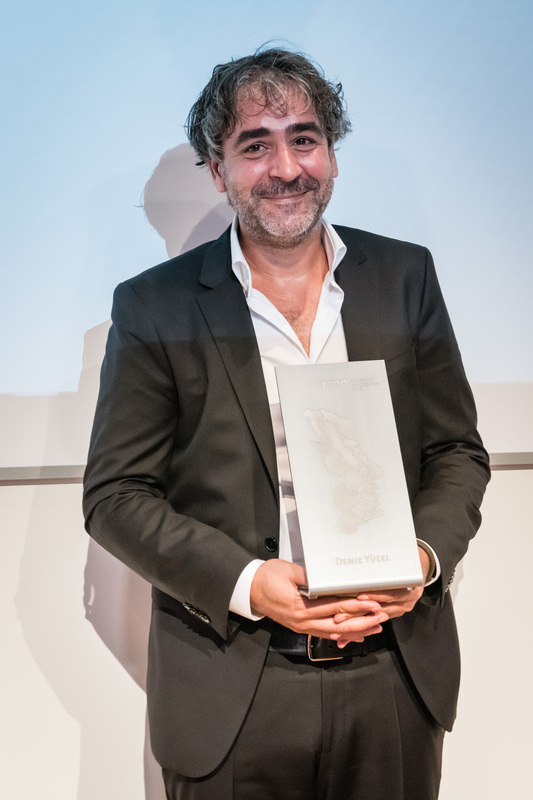 “I just went there for a couple of weeks to finish my book and I was planning to go back,” he said in a discussion with Kai Diekmann, publisher of Bild, at the M100 Sanssouci Colloquium. A few hours before flying to Bratislava, and immediately following her visit to Paris where she met with French President Francois Hollande, Merkel went to Potsdam to give the keynote address at the “M100 Sans Souci Colloquium.” The aim of this annual international conference launched in 2011 is to bring together leading journalists and thinkers from inside and outside Europe to exchange views on its future. Managing editors of media organizations such as the BBC, Turkey’s Hurriyet Daily News and Germany’s Bild and Spiegel discussed how the EU should act in the fields of economy, foreign policy and the media. Subsequently, journalist Roberto Saviano received a prize for his investigative work in relation to Italian mafia. When you first arrive at the M100 Sanssouci Colloquium, it can be emphatic: the very crème of Europe’s press is there: The really old names, big guns, top people, you name it. 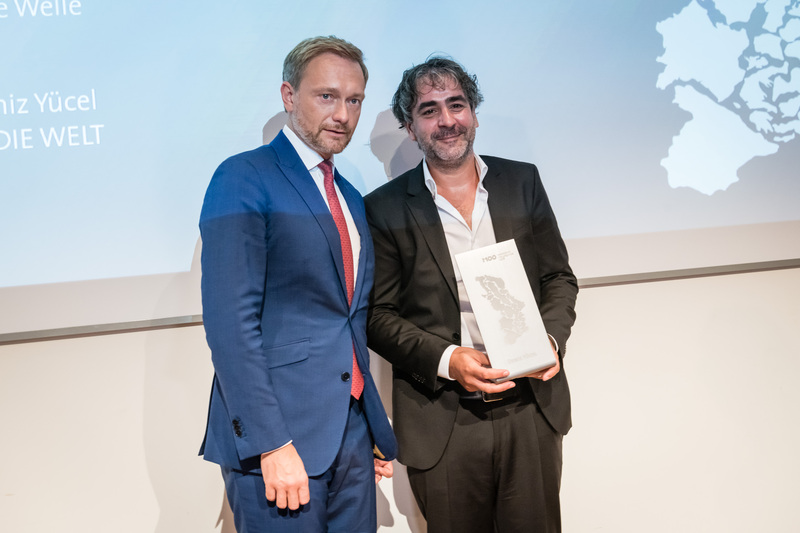 During the ceremony, Italian writer Roberto Saviano, who is well known for his stance against the mafia, received the M100 Media award, which he dedicated to two brothers under detention in Turkey, Ahmet Altan, a journalist and Prof. Mehmet Altan, an academic and columnist. L’occasione era il prestigioso Media Award M 100 conferito all’autore di “Gomorra“, il premio che i media tedeschi annualmente assegnano a personalità che hanno lasciato “delle tracce nella cultura e democrazia europea“. Saviano non è il primo italiano a riceverlo: nel 2012 il premio è andato a Mario Draghi, e in quella circostanza toccò al rigoroso ministro delle Finanze tedesco, a Wolfgang Schäuble tessere (nonostante le critiche e differenze di vedute) gli elogi di un Präsident della Bce non proprio amato in Germania.